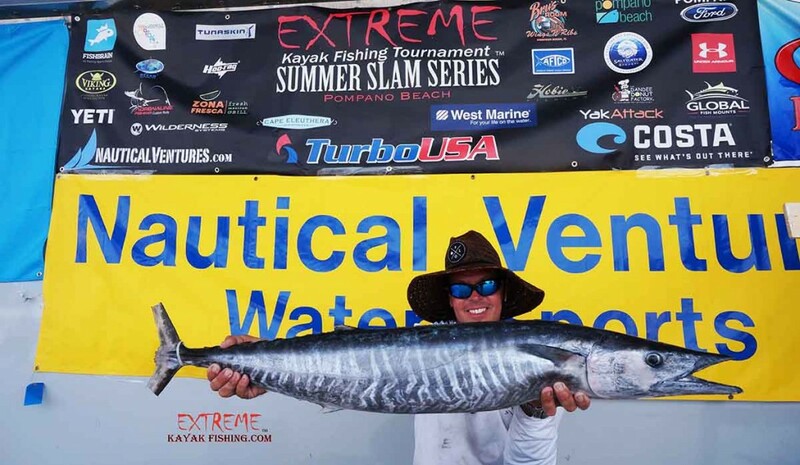 Local angler Carl Torresson topped a tournament-record fleet of 170 kayaks last Saturday to win the Extreme Kayak Fishing Summer Slam Part 1 out of Pompano Beach. Champion Carl Torresson hit the scale at 40.5-pound and took home a BIG $4,000 check from Turbo USA and $3,300.00 from the Calcutta’s!!! TOTAL PAYOUT $7,300.00! 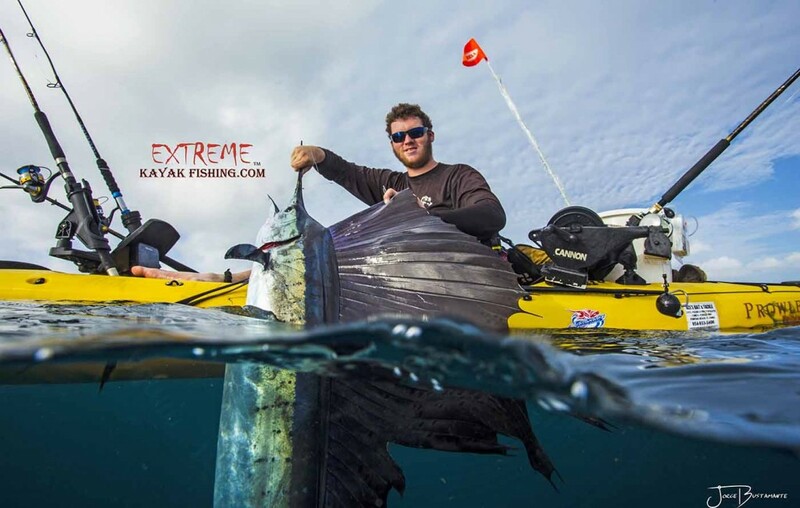 Second place went to Adam Roeck who swooped up a Hobie Outback from Nautical Ventures, Costa Del Mar Sunglasses and the $500 YakAttack Jumbo Tuna division with his nice 18.9-pound blackfin tuna. 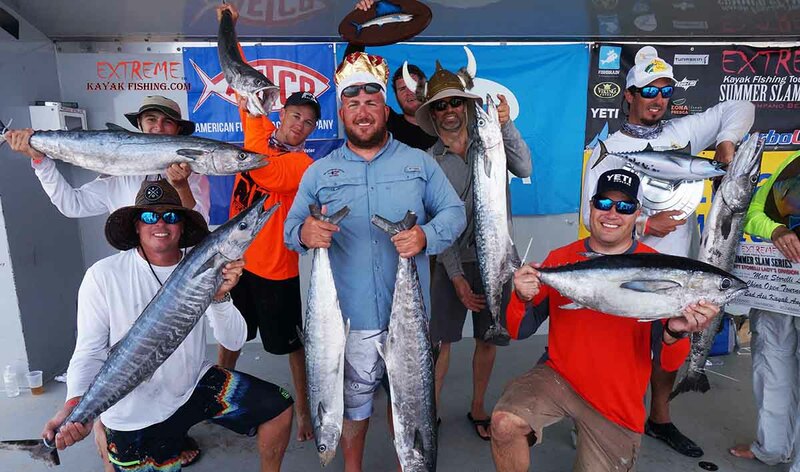 Lance Irvine earned 3rd place and his stripes with his 17.2-pound wahoo winning a Hobie Revolution Kayak from Nautical Ventures and a trophy from Global Fish Mounts. Fourth place belongs to John McKroid who was happy to receive a fully Rigged Viking Reload Kayak from Viking Kayaks and a trophy from Global Fish Mounts for his 14.9-pound catch. Adam Fisk came in 5th place with a total weight of 14.8l-pounds making him $1,500 richer and receiving a Global Fish Mounts Plaque!!! Bill Sikora stole the last spot and took home a combo rod and reel from Custom Rod and Reel and a nice trophy from Global Fish Mounts. Christopher Simmons won the West Marine Sailfish Division and a beautiful trophy along with a free entry to the Sailfish Smack Down 2016 with his 8:11am catch. The Popular Trash Can SLAM trophy went to Leonardo Pera winning Costas. The Matt Storelli’s lady’s division was well deserved by Pamela Wirth. She is now invited to the China Open Tournament for a chance to win $30,000! She was also awarded $1,000 from the Storelli Family and received a beautiful Triggerfish plaque provided by Global Fish Mounts. Top Junior angler went to Casey Debrecht who caught a nice 23.3-pound Kingfish. He gets a $1,000 check from FISHBRAIN and a beautiful plaque. 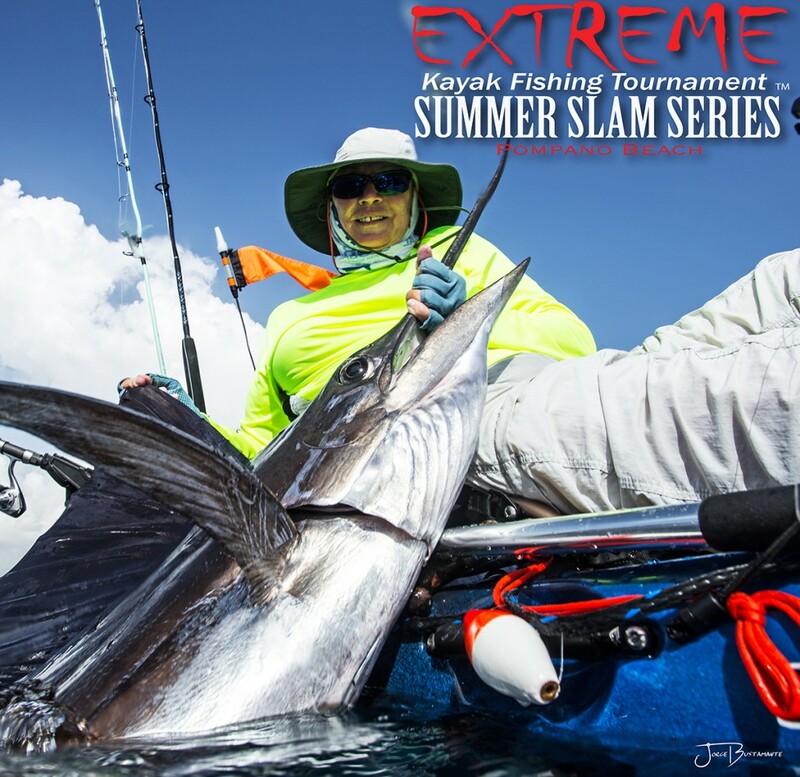 Now get ready for the final EKFT tournament of 2015 the quest for the ring…Extreme Kayak Fishing Summer SLAM Part 2 taking place August 22nd check out: www.extremekayakfishing.com for all the latest information.